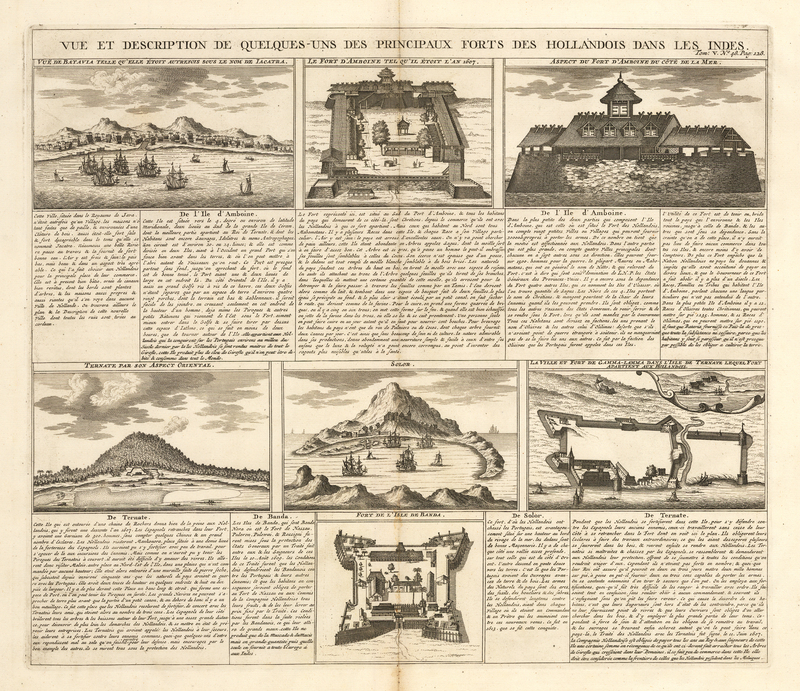 This portfolio page from the Atlas of Chatelain features the principal forts of the Dutch in the Indies in the early eighteenth century. Seven precisely detailed vignettes portray the important endeavors and accomplishments following the founding of the Dutch East Indies Company in the early seventeenth century. European frigates and local seagoing vessels embellish the seas. French text accompanies each vignette. Condition: This map is a strong impression in A condition, with minor toning at the outer borders. Very minor tears in the border have been repaired with archival material on the verso.